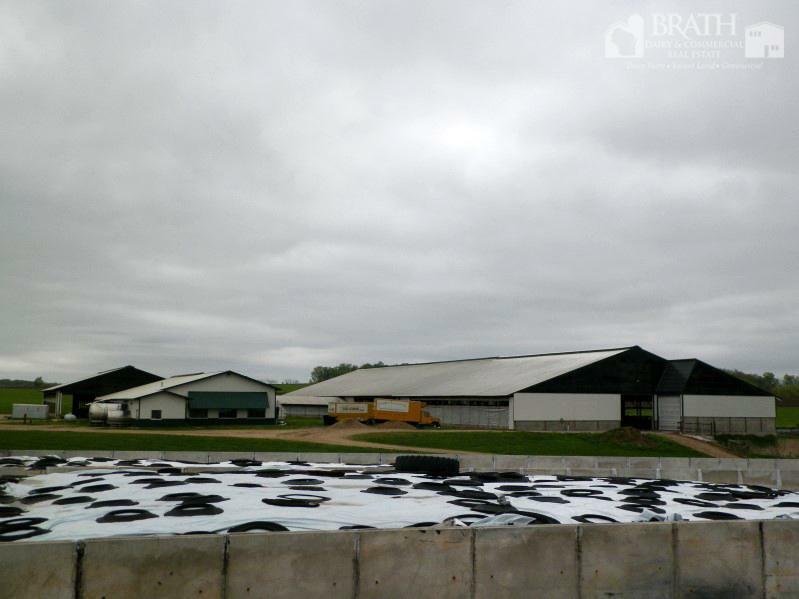 Newer 400+ cow dairy setup. 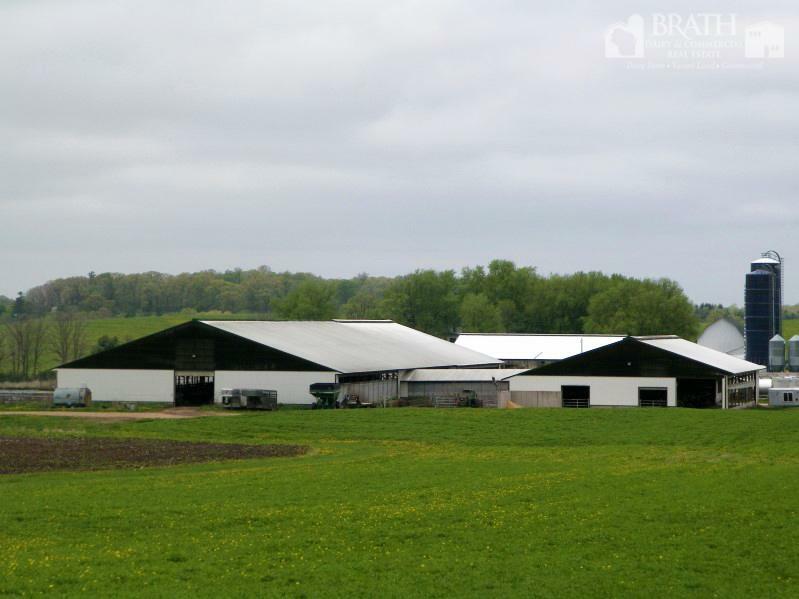 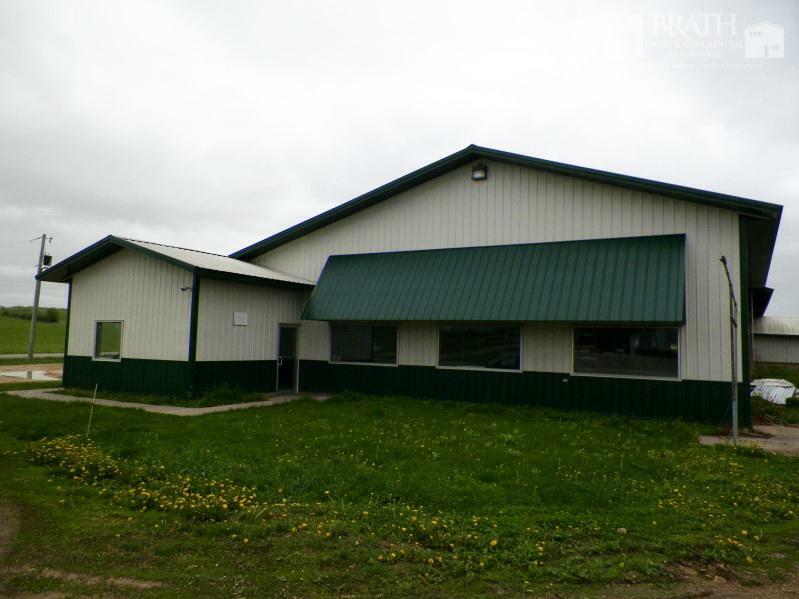 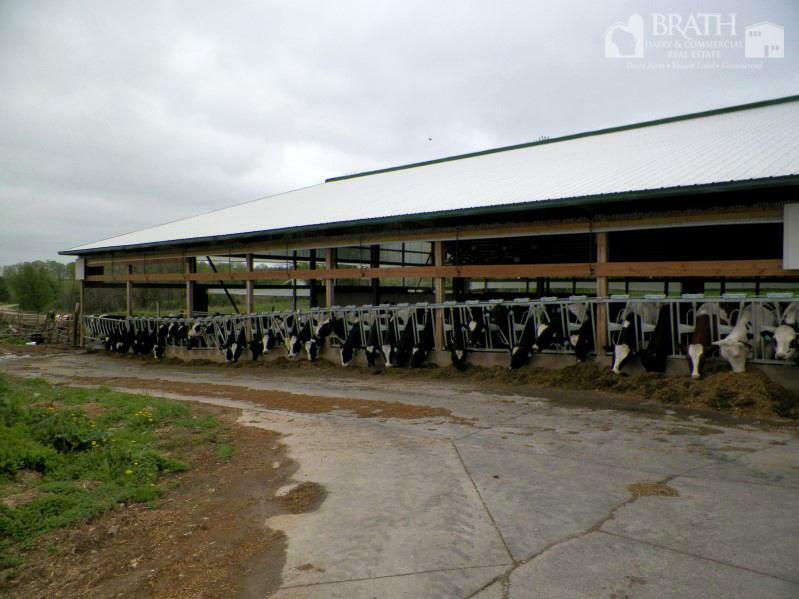 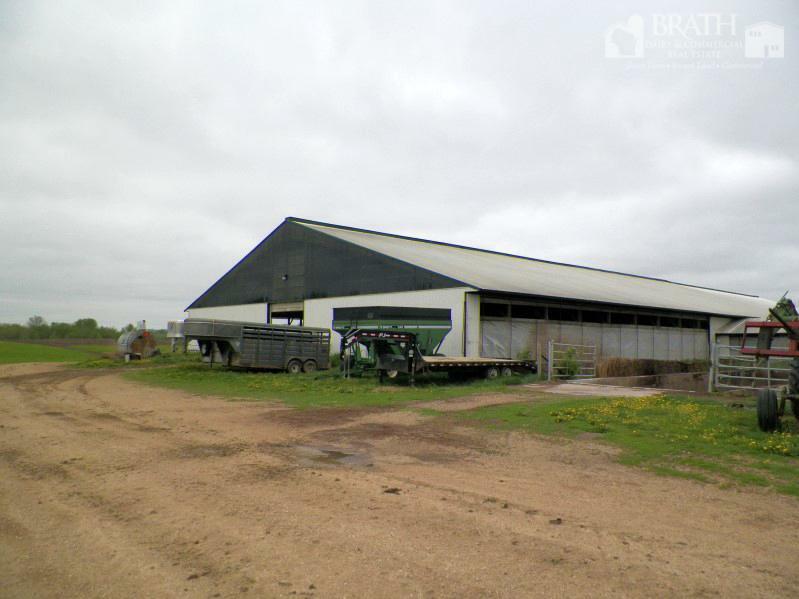 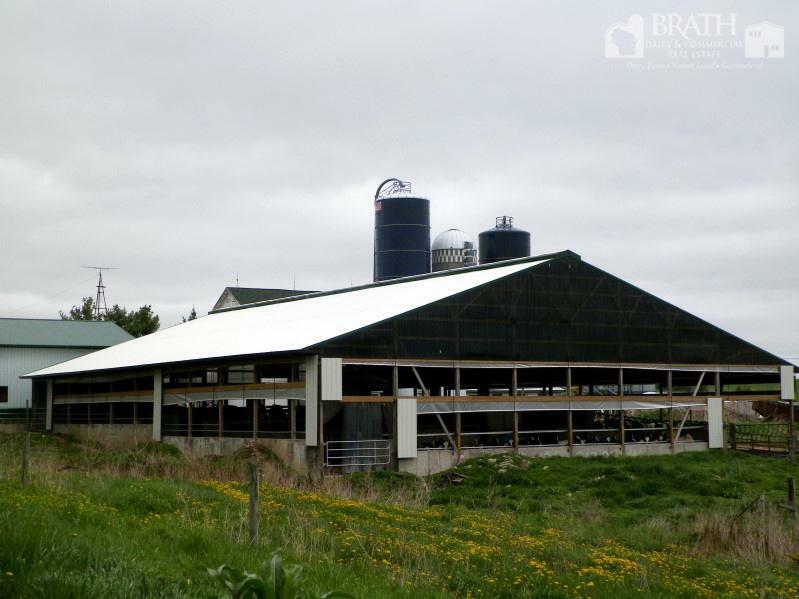 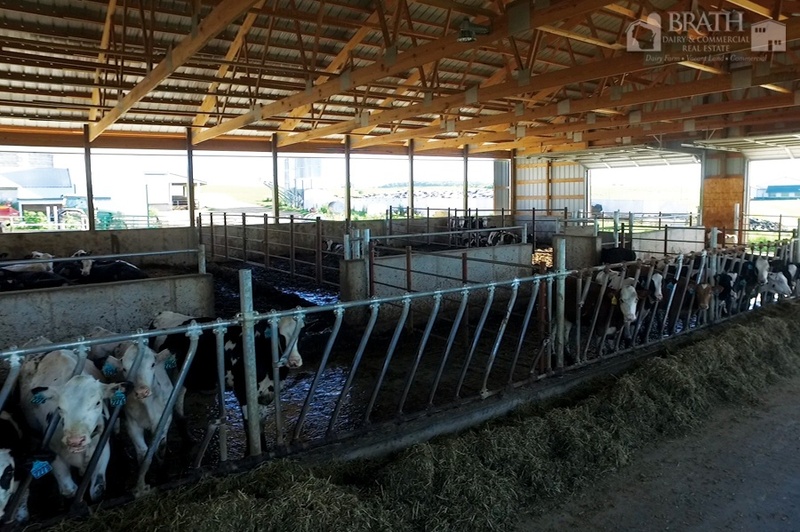 Built in 2004 and expanded in 2009, with 400 freestalls for the milk cows. 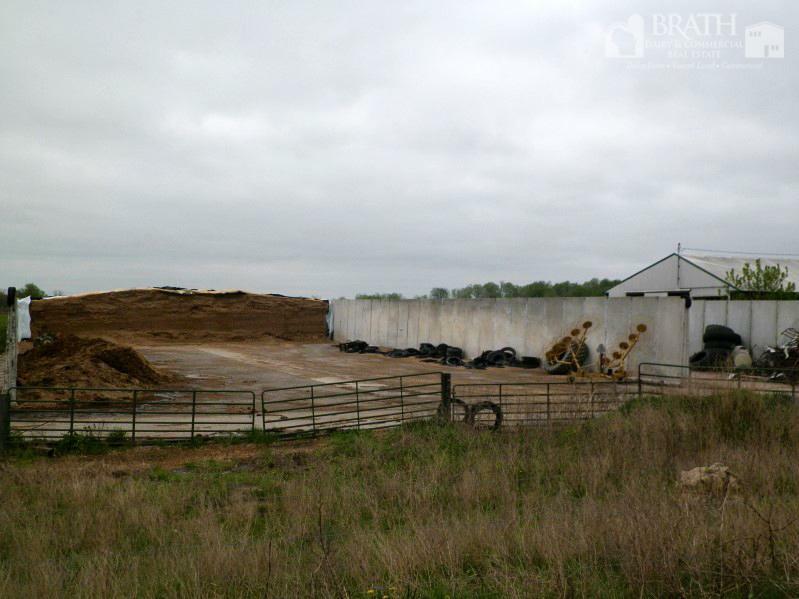 Main barns are equipped with an automatic manure scraper system. 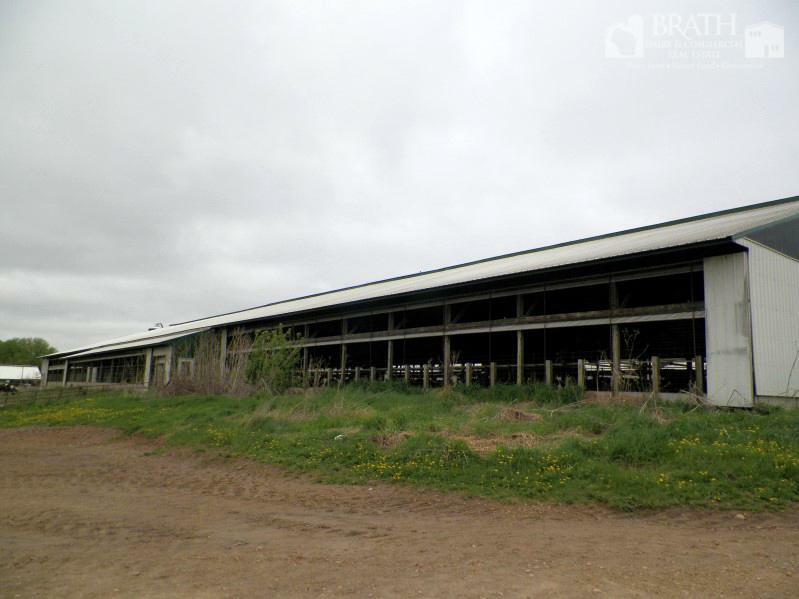 330 stalls with mats and sawdust bedding and 79 stalls are sand bedded. 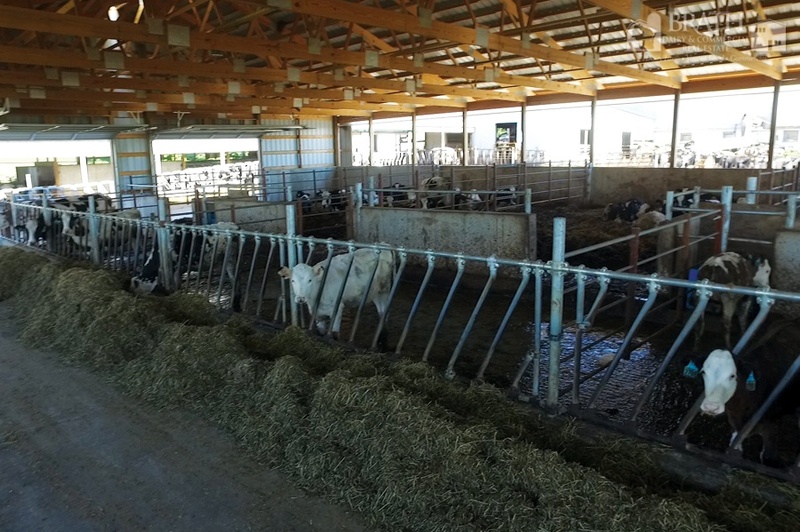 Milking parlor is a WestfaliaSurge double 12 with rapid exit, and AIC Detachers. 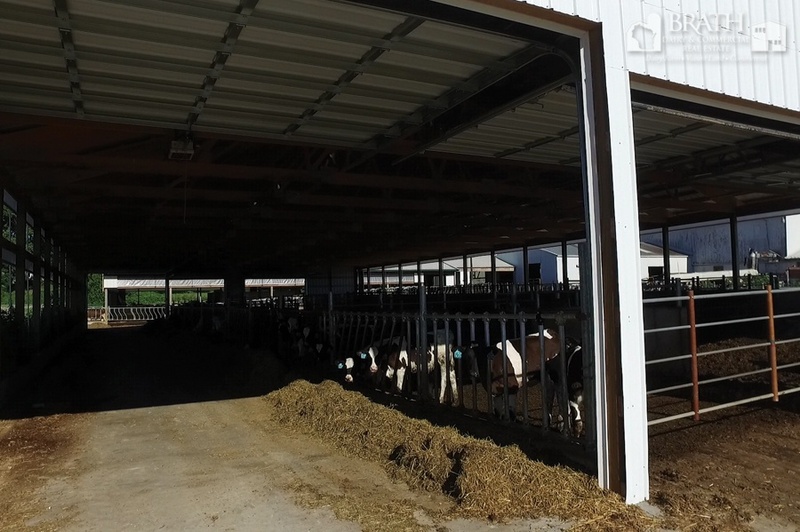 Large holding area with crowd gate. 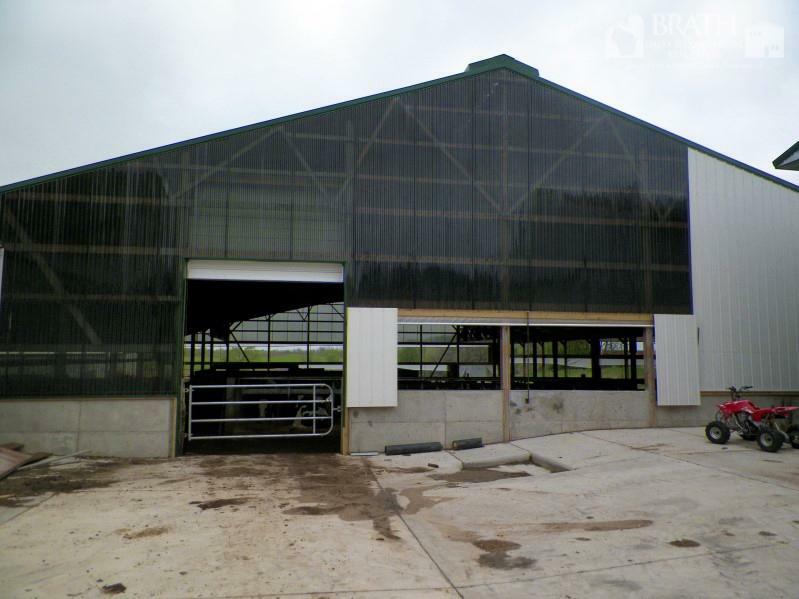 Renovated in 2009 freestall barn for heifers and dry cows. 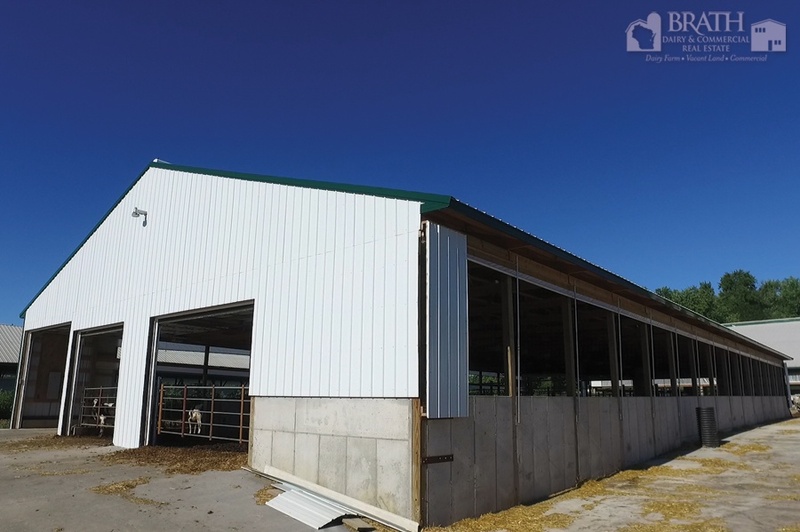 New heifer barn built in 2014 with 100 stalls. 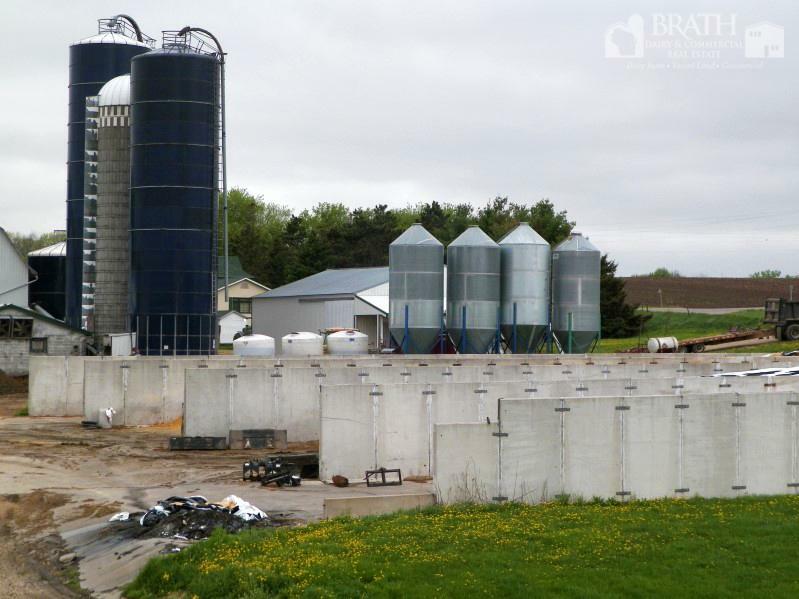 Also built in 2009 are 6 bunker silos with 10 or 12 feet high walls. 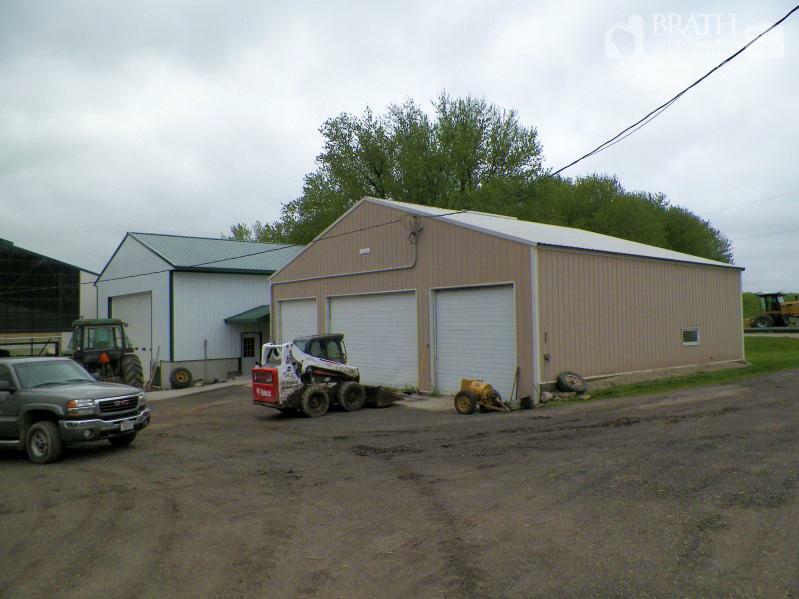 Included is a spacious 4 bedroom 3.5 bath home with attached 2 car garage. 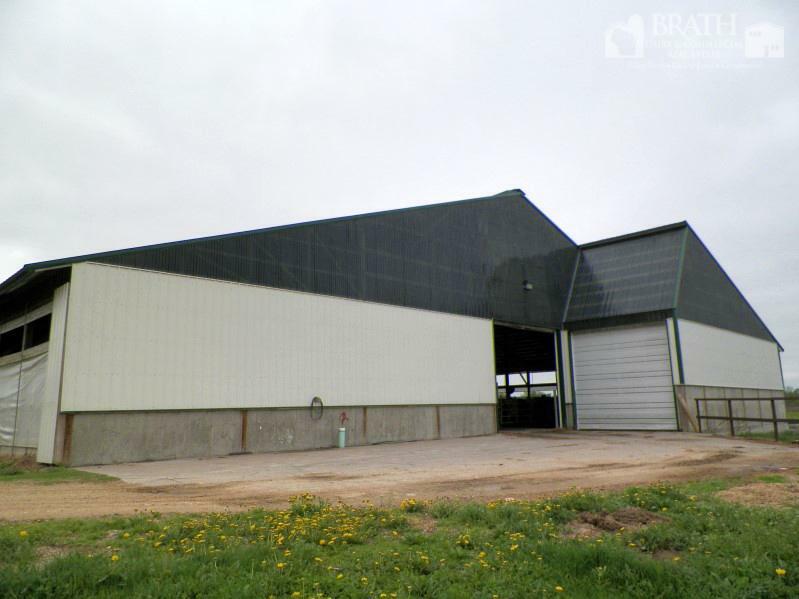 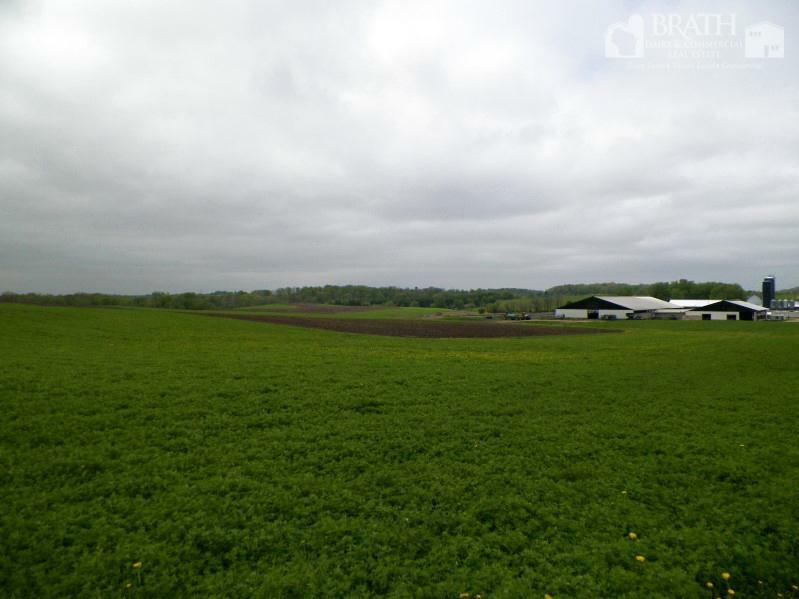 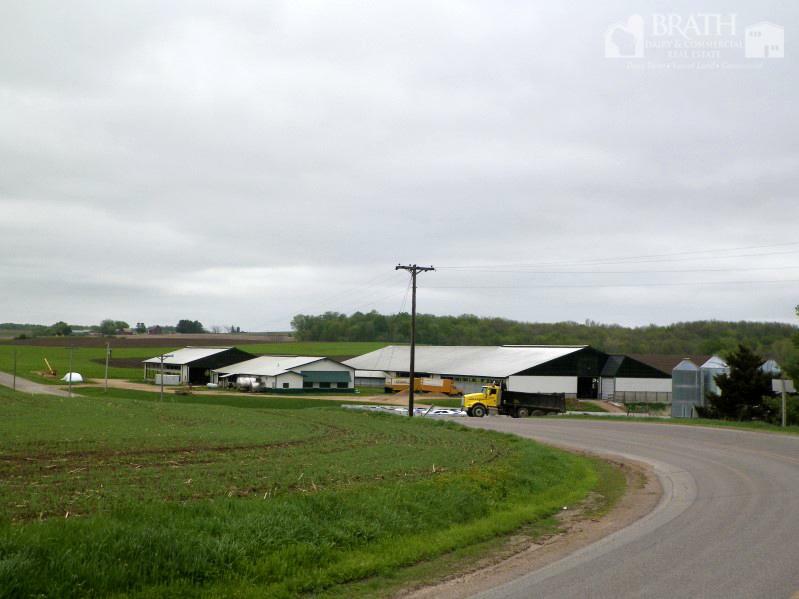 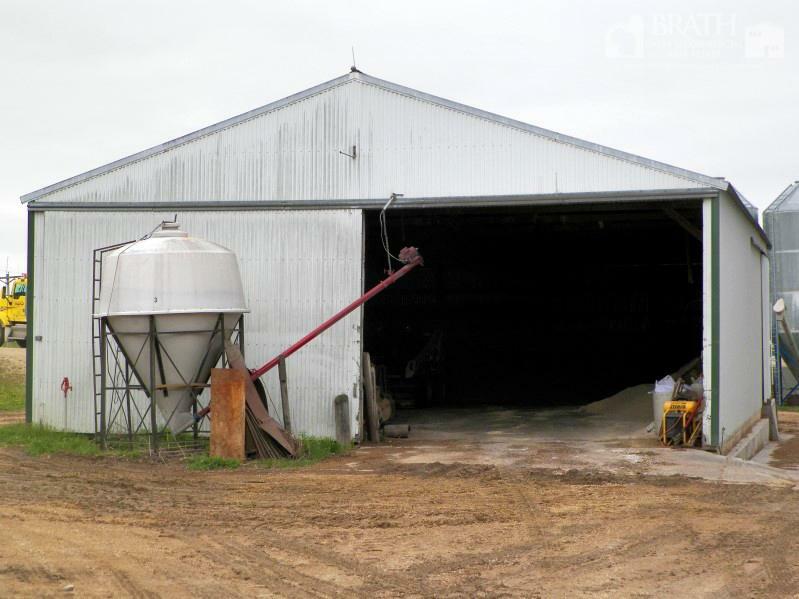 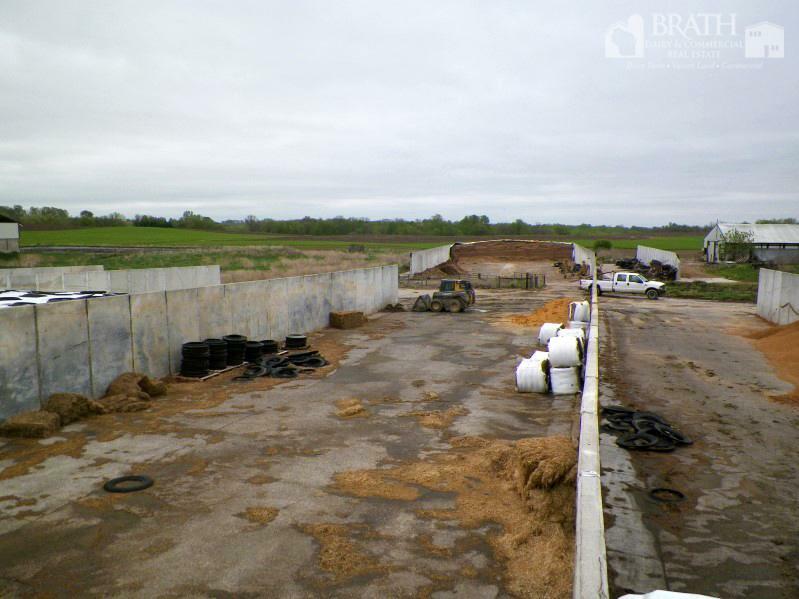 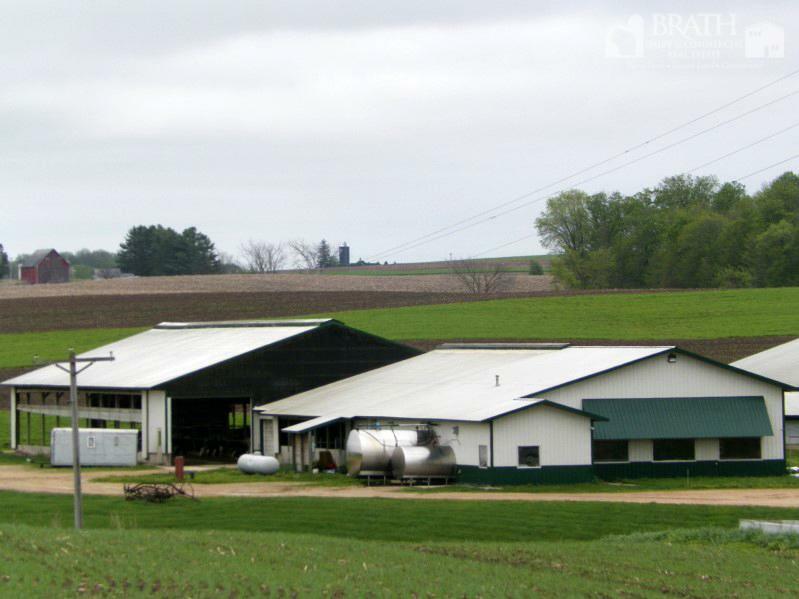 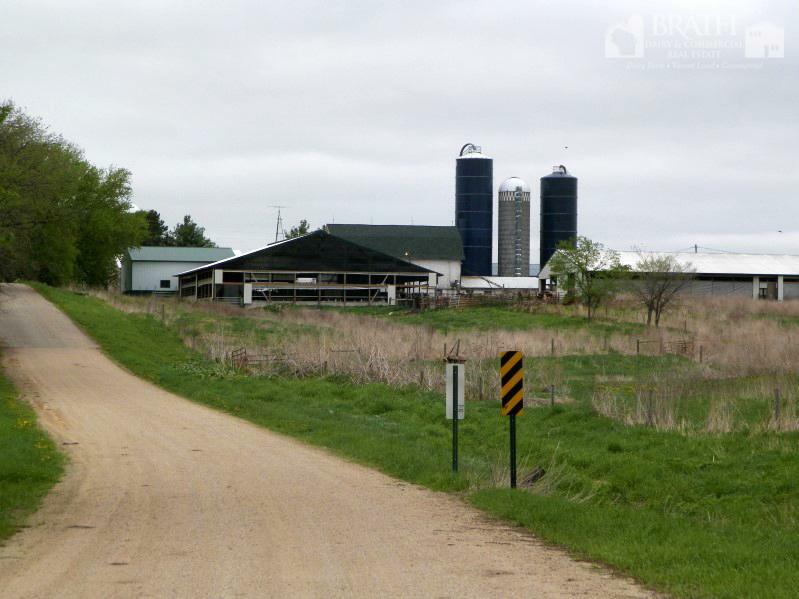 Farm is listed with 40 acres with more land available to purchase or lease. 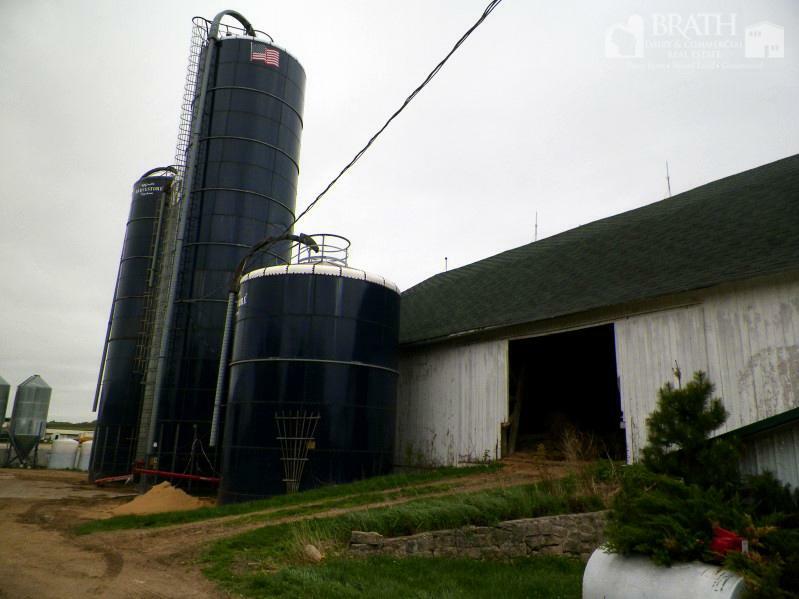 6 Bunker Silos Two: 156' x 35' x 10' Two: 156' x 45' x 10' One: 180' x 82' x 12' One: 120' x 30' x 12' 4 Upright Silos 20 x 70 20 x 60 20 x 80 20 x 20 4 - 30 Ton Schuld/Bushnell Feed Bins 2 Wells 330 Stall freestall barn - sawdust bedding 2004-2009 70 stall freestall barn - sand bedding 2009 Heifer/dry cow barn - sand bedding 2001 renovated in 2009 100 stall heifer barn - sand bedding 2014 New Heifer Housing 3 - 6 Months Built in 2015. 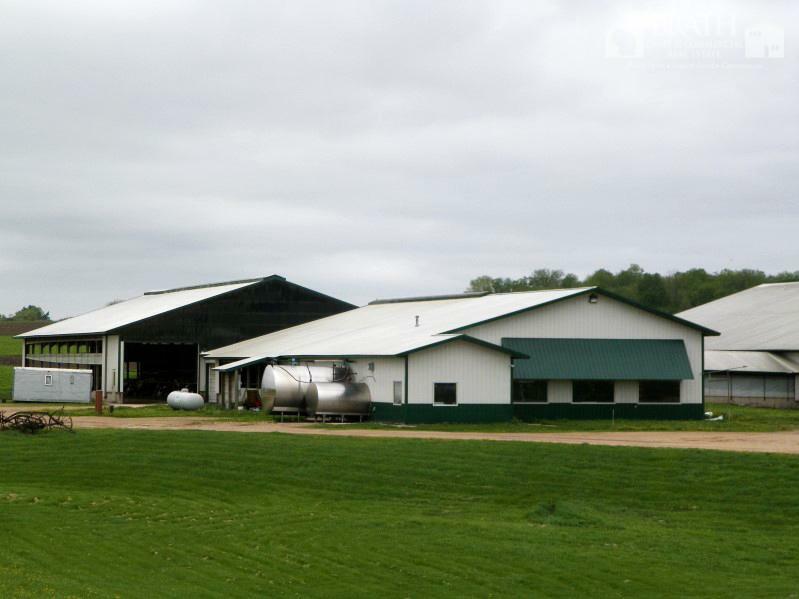 2 x 12 WestfaliaSurge milking parlor with rapid exit 6400 Gallon WestfaliaSurge Milk tank 2500 Gallon Mueller Milk tank Plate cooler Bradford water heater 2 air compressors Office/breakroom 2 heated shops 40' x 40' and 40' x 50' 3 million gallon manure storage 500 gallon manure pit & New manure storage in 2015. 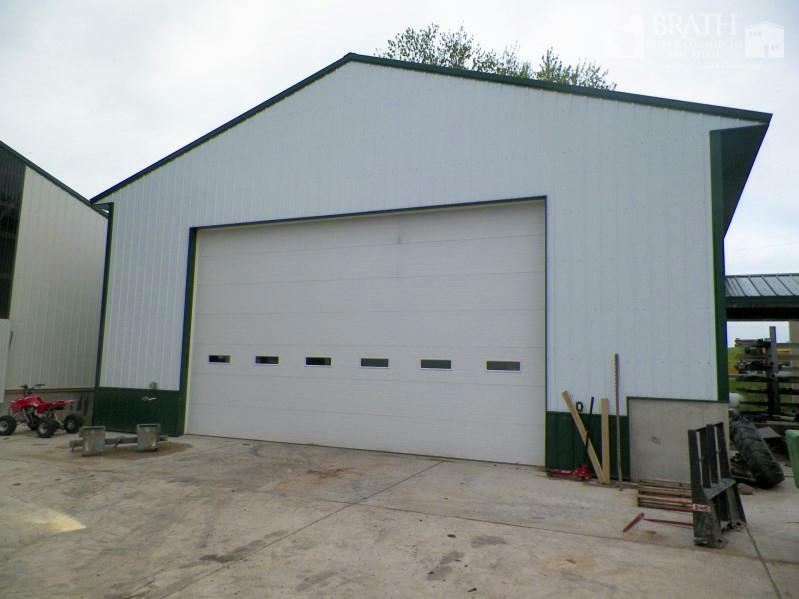 Spacious 4 bedroom home with 3.5 bath and attached garage. 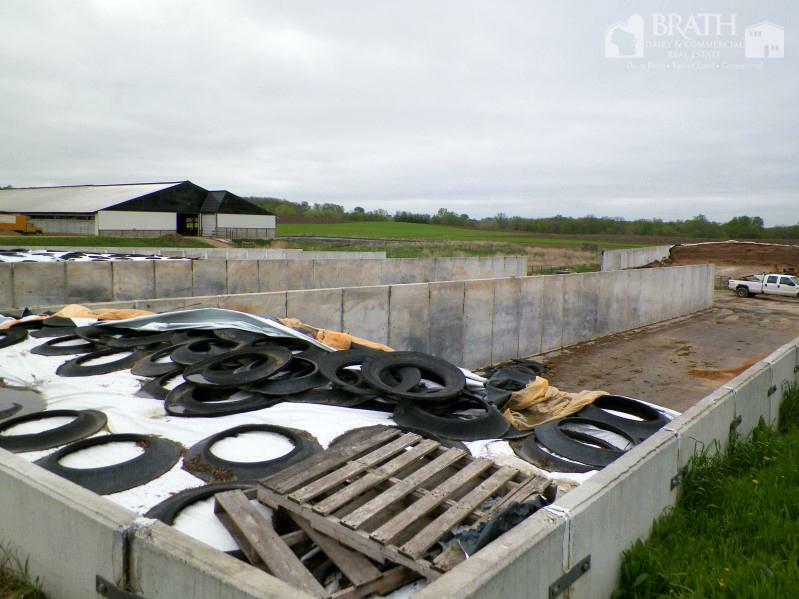 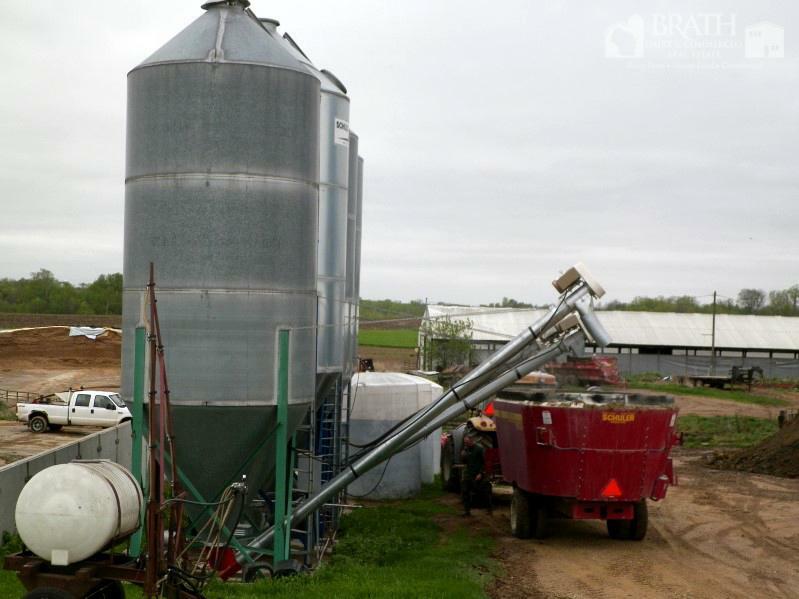 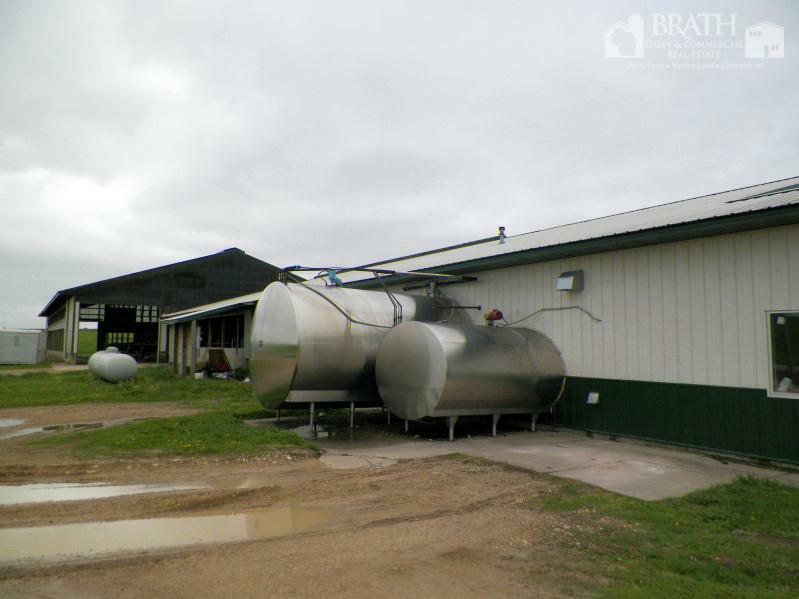 Inclusions: Milking equipment, milk tank and all equipment related to the dairy.